Health Canada is reopening its safety review of breast implants after more Canadian women were identified with symptoms of a rare cancer. The department has received reports of 22 confirmed cases and another 22 suspected cases of breast implant-associated anaplastic large cell lymphoma. Health Canada is reopening its safety review of breast implants after more Canadian women were identified with symptoms of a rare cancer. The department said that, as of Jan. 1, 2019, it had received reports of 22 confirmed cases and another 22 suspected cases of breast implant-associated anaplastic large cell lymphoma or BIA-ALCL — not a breast cancer, but a type of non-Hodgkin lymphoma that attacks the immune system. The department attributed the rise to an "increased awareness" by healthcare professionals and the public about BIA-ALCL. As a result, Health Canada is warning women with implants to see a doctor if they notice any changes to their breasts including pain, sudden swelling or a lump. The department is also asking health-care professionals to report details of any cases of BIA-ALCL. Health Canada said it will consult with the Canadian Society of Plastic Surgeons and the Canadian Society for Aesthetic Plastic Surgery to further investigate risks. It expects the review to be completed this spring. The announcement comes a week after the U.S. Food and Drug Administration sent letters to the medical community warning of the risks of BIA-ALCL. The FDA revised its figures and said it has found a total of 660 medical device reports possibly linking breast implants and BIA-ALCL cases in the U.S. and across the globe in the past decade — including nine patient deaths. That's an increase of 246 new cases since last year. The U.S. agency was the first in the world to identify a link between breast implants and the cancer back in 2011. The FDA, along with Health Canada and other European regulators, attended public hearings last week in France focused on the use and safety of breast implants. At the conclusion of the hearings, the French government announced a ban on textured breast implants that are linked to higher risks of the cancer. Unlike smooth-surfaced implants, textured implants have a fuzzy surface that feels like very fine sandpaper — which is said to better adhere to chest tissue, increasing stability. A study published in 2018 by two Canadian doctors also sounded the alarm over the same Biocell textured implants. They found the device had a shorter life and had to be removed sooner than saline or smooth gel implants. 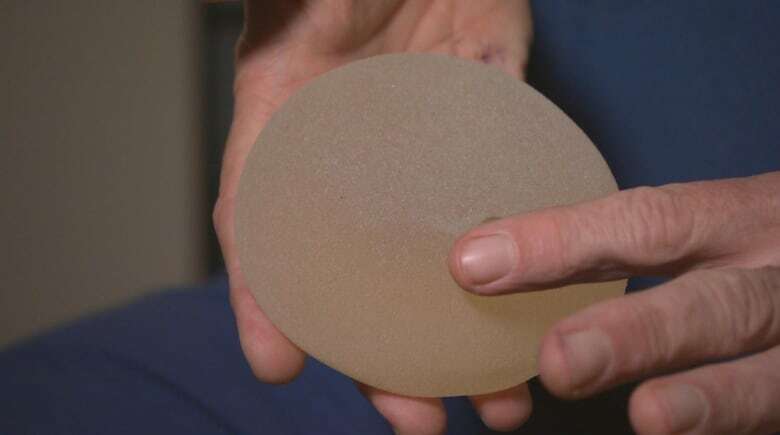 Health Canada had earlier said there was no need to reopen its safety review of breast implants, in a response to a joint investigation by CBC News, Radio-Canada, and the Toronto Star in collaboration with the Washington-based International Consortium of Investigative Journalists. The investigation also found that three Toronto-area plastic surgeons were not warning women about the possible link between BIA-ALCL and textured breast implants. Terri McGregor told CBC how, at 50, she was told she had BIA-ALCL. 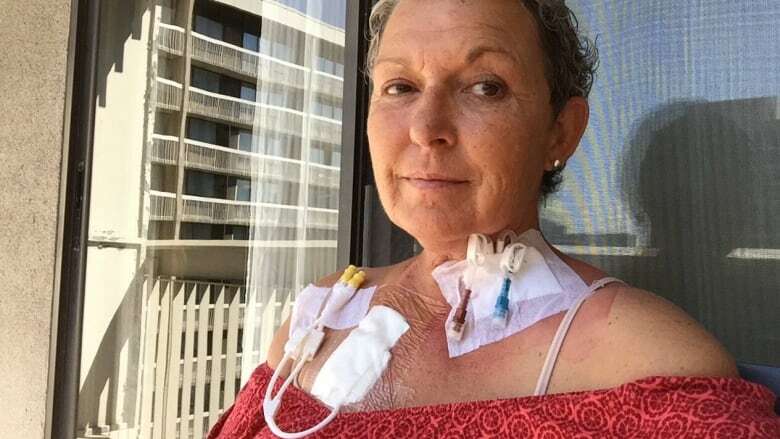 The rare cancer had spread from her breast to her lymph nodes and into her intestine and abdomen. "It was surreal; my breast implants were going to kill me," said the North Bay, Ont., woman last year. "I started putting my affairs in order, to prepare myself to die." In November, Health Canada told CBC News that women already had enough information on the rare type of lymphoma, and no additional safety advisory was needed. At the time, only five Canadian cases of BIA-ALCL had been officially reported to the agency by manufacturers in the past decade. But two Canadian plastic surgeons said that was because the cases were poorly documented. Peter Lennox and Mitchell Brown had compiled data that showed at least 25 women in Canada had BIA-ALCL — just three more than what Health Canada now calls "confirmed cases." Breast augmentation is the most popular cosmetic surgery in the world, with an estimated 10 million women globally opting for breast implants in the past decade alone. Most have not reported adverse health issues, and some studies point to high satisfaction rates. Manufacturers stress that there have been many studies over the years demonstrating that their products are safe.